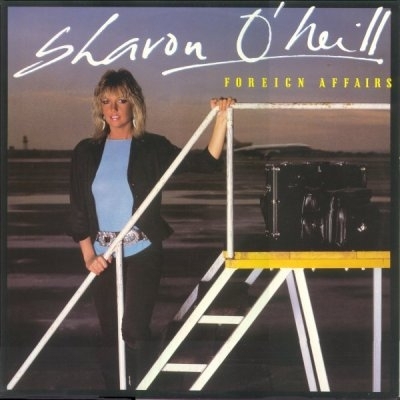 Foreign Affairs is the fourth studio album by New Zealand singer and songwriter Sharon O’Neill. It was O’Neill’s final studio album release on CBS. The album was certified Gold in New Zealand. 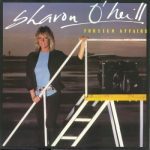 Late in 1981, O’Neill moved from New Zealand to Sydney, Australia to pursue her music career, where she wrote “Maxine”, a song that chronicled the life of a prostitute. In a 2016 interview, O’Neill said; “I was living in a hotel in Kings Cross when I got the inspiration to write “Maxine”. She was always out there working at 3am when we’d get home bleary-eyed from a gig”. The album was produced by John Boylan with local studio musicians. O’Neill, asked afterward whether this was one of the more enjoyable recording sessions, she said no, “but it was a highlight for me because it was done on the West Coast of the USA with a very important person in my life at the time, John Boylan…, who was so enthusiastic over my songs and pulled it all together and pulled in so many friends. I was such a fan of these people who came and played on the album that I was shaking in my shoes when they came into the studio”. People who played on the album, she said, include Tom Scott, saxophonist with the ensemble L.A. Express, on “Maxine”; and David Lindley, the guitarist. Copyright (c) – April Music Pty. Ltd. Published By – April Music Pty. Ltd.